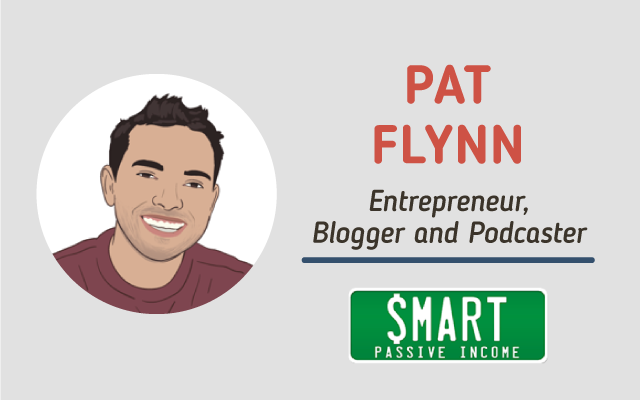 For those of our readers who don’t know, you are the creator of The Smart Passive Income – a very successful site and podcast where you do a really great job of providing quality content and real world examples of your own income. But how did it all started? It started back in 2008 after I had built a successful business teaching people how to pass an exam in the architecture industry. That exam was called The Lead Exam LEED which stands for Leadership in Energy and Environmental Design and I built that site as a result of getting laid off from the architecture industry in early 2008. Coming off the success of that website, many people were asking me how I was able to build that, and so I built smartpassiveincome.com and created it in October of 2008 as a resource to help other people realize what’s possible out there in this world of online business and that online business can be done in a very authentic manner where when you serve people and help them they will repay you. We all know that the right domain name is important. How long did it take you to come up with yours and were there any other domain name ideas you had in mind? What I really wanted to do was to show people that passive income in building a business online was possible but I wanted to show people how to do it in a very smart way and not just necessarily working harder but working smarter and that’s where Smart Passive Income then came from. While we’re talking about website creation, which self-hosted blogging platform would you recommend to web beginners and why? There’s lots of options out there such as Wix and Squarespace, but I still highly recommend and have always recommended a self hosted WordPress website! WordPress allows for more customization options and as you continue to grow you’re going to want those customization options. There are tens of thousands of people out there who can help you with WordPress websites; if you have questions there are tens of thousands of different resources free and paid out there that can help you and also the custom themed designs – there are more on that platform than on any other. So when planning for the future I always recommend allowing yourself that room for growth, and by self-hosting a blogging platform on WordPress you’re able to do that. blogging these days, comparing it to the time you used to spend before – is there a big difference now VS then? There’s a huge difference, and that major difference is I have now experienced what it was like to hire other people to help me and thus those hours are still being put into place, I am just not the person that’s actually putting in those hours. I still write my own content, I still record my own podcast, I still shoot my own videos but I have other people who are editing those things, who are putting them into WordPress, who are scheduling and publishing those things. I used to blog three times a week specifically and did every single bit of it myself including the graphics and the publications of those. But now I spend about three or four hours a week versus the I would say 20 hours a week on that because a lot of my time now is spent on bigger ticket items, things that require myself that nobody else can do versus a lot of these other things that I used to do that now have hired help to support. At the beginning, what did you do to promote your blog? And how do you promote it now (which social media channels you use the most, etc)? In the beginning I didn’t really use social media, I used writing great content and connecting with other bloggers to help get that content in front of their audiences. I built relationships and that by far is the most important thing I did to promote my blog was to actually build relationships with other bloggers, like Darren Rowse from ProBlogger and Yaro Starak from Entrepreneurs Journey and many others even those who aren’t at those levels. I built a relationship with them and tried to serve them I commented on their blogs and see what I could do to help them, to have them understand that I was a) somebody who existed in the same space, but b) somebody who could also provide more value to their audience if they were to share me. And that helped out a lot. In addition to that would also help was understanding what I could do to differentiate myself such as posting income reports – those were often shared and talked about and then also expanding on to other platforms, so YouTube in 2009 and podcasting in 2010. The podcast more than anything definitely helped me get more traffic, because I’ve run surveys and I’ve discovered that the podcasts has been the number one way that people have found out about me and that’s why I created Power-Up Podcasting.com to help people through the beginning stages of starting a podcast and making sure it gets found. You’re also very famous thanks to your awesome book “Will It Fly”,but there’s another very important book you wrote called “Let Go” – can you tell our readers a bit more about it and why would you recommend them to read? I wrote like in 2013 because it really describes the ins and outs and all the details emotionally and physically related to what was happening with my layoff in 2008 and how I transitioned from that era to becoming an entrepreneur and all the hurdles that I had to overcome and all the things that I was conditioned growing up to learn – all those things that I had let go in order to grow and become an entrepreneur. So I’d highly recommend it for those of you who are at the beginning of your entrepreneurial journey and want to know what it’s like really from somebody who has been successful that it’s not easy and you are not alone and everybody goes through the same process of doubt and starting and just wondering if it was going to work or not. 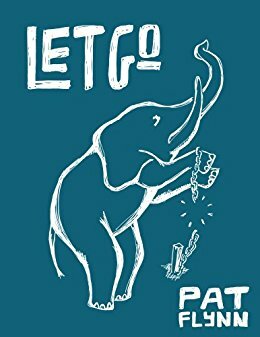 So “Let Go” came out in 2013 and a second edition came out just recently here in 2017 that goes through some of the new things have had to let go since becoming a successful entrepreneur, because I’ve had to learn how to let go of even more things – things that I was conditioned to believe about myself nor I wanted to go. And the truth is what got you here won’t get you there. What’s your favorite misconception that people tend to have about online entrepreneurship in general? My favorite misconception is that things happen overnight 🙂 because they definitely do not! And it’s my favorite one because I just love to be that person to tell people that hey this is not easy, this does not happen overnight and I think that helps differentiate my stuff versus a lot of other people out there who teach online business, who try to tell you that it’s easy if you try to tell you that you can become an overnight success. All “overnight successes” that you hear are not overnight successes – if you go deeper into those stories you’ll realize that there’s actually a lot of work that was done to get to that point and to provide those opportunities that that person finally had. Even in my story definitely not an overnight success. So I like that concept misconception because I like to be the person to really tell the truth about those kinds of things. Relationships matter more than anything! Relationships with your audience and having them understand you, to know you, like you and trust you needs to happen before any sort of transactions can happen. Start with the problem, not the solution. A lot of people try to say ‘oh I’m going to build an online course’ or ‘I’m going to create a software solution’ but without diving into the problems first… You need to understand what the problems are that you’re solving before you can build the right solution or put yourself on the right platform in order to understand how to actually deliver something that people will want to pay for. Read my book “Will It Fly”. Because it can help you understand how to validate your product ideas first before you actually spend money and time on them, to help you run through a series of litmus tests so you can understand what actually your audience will eventually pay for versus trying to just guess what those things are ahead of time. And top 3 blogging tips you’d give to blogging beginners? Write as much as you can because that’s going to help train you – it’s going to help you understand how to you can become a better writer. I was a terrible writer at first, but it wasn’t until I started writing that I started to understand how I could become better at it. Answer people’s questions if you’re struggling with what it is that you need to write about. Just make it simple for yourself – answer people’s questions! There are people talking on social media right now who have questions who you could potentially come in and create answers for, and it’s when you answer people’s questions that not only will people understand that you are an authority in that space, but Google will also realize that you are an authority in that space and have a website that’s relevant to the topics people are searching for with keywords related to that topic and therefore you will become a much higher ranking search engine results for specific keywords that people are typing in. Patience! Gary Vaynerchuk said “Micro hustle – macro patience”. Micro hustle meaning you need to know what your next task is and you need to hustle on that, you need to do it, you need to get started you need to get through it. But on the macro level you need to have patience so you’re working hard on stuff and moving quickly, but at the same time when it comes to results you need to be patient because things take time. we don’t know if you knew this BUT there is a very popular musician from Ireland named MC Pat Flynn 🙂 If you were the MC, what would be the name of your first song? Hmmm, that’s a good question! Now I will say I know about this MC Pat Flynn in Ireland. But I also know that his songs aren’t quite appropriate so I’m not going to talk much about that, but if I had a song it would be I think it would be called “Serve First” because that’s really the equation when it comes to becoming successful in any facet of life. Serve first and you will be rewarded. Your earnings are a byproduct of how well you serve your audience!